You can sync your unfulfilled orders from Magento to our platform with one click of a button. We will capture information such as your customer's name and address and you can proceed to generate a label. Once a label is generated, the tracking number will automatically go back to your Magento store and create a shipment for your order and will include a tracking number as well as a tracking url. You will be able to display our rates for your customers to choose from, in order to increase your conversion rate. We will show a maximum of 3 options: the cheapest, fastest and best value for money. The rates displayed will be depending on your customer’s address, and the weight and size of the items within the shopping cart. Your customers will not only be able to see courier options, but will also be able to see tax & duty information and delivery time. You will have the ability to select which courier solutions It will be available for your customer to choose. Go to System > Magento Connect > Megento Connect Manager. Go to Search for modules via Magento Connect. 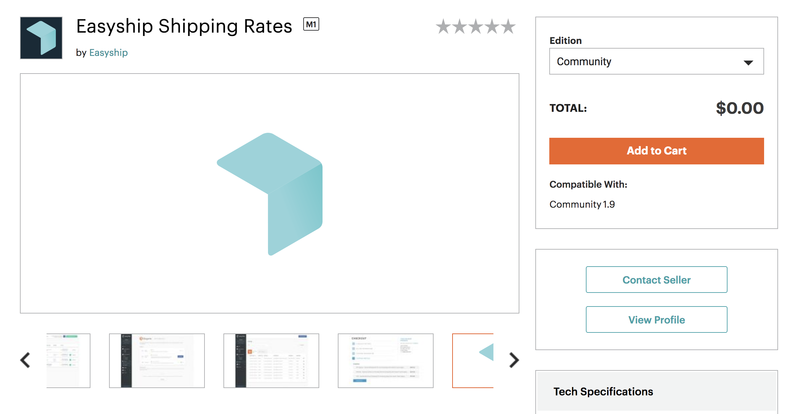 Go to our extension page on the Magento Marketplace. Click the “Add to cart” button, and go through the checkout process. Once completed, you will be brought to the page below. Click on the Install button. Once the tool has been installed, you will be redirected to the Magento Access Key page (shown below) where you will see your access key. Copy and save the key some place safe where you can access it again. 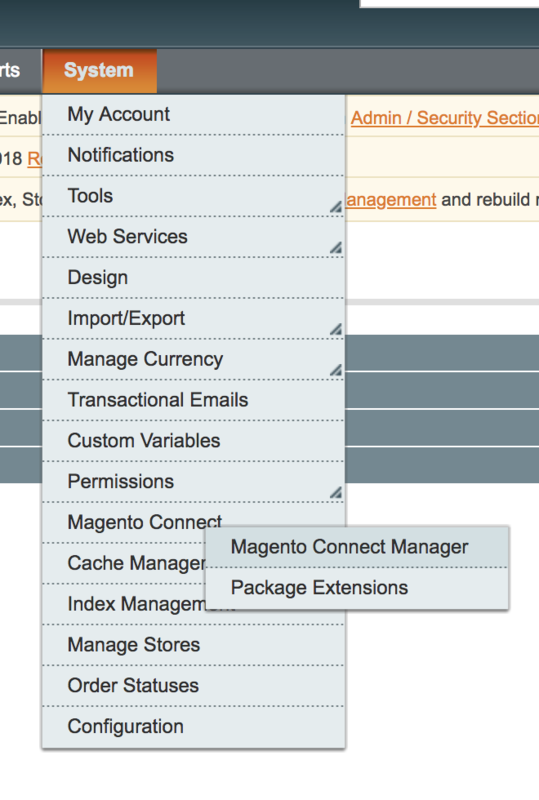 Now, go to your Magento “Connect Manager” page and in the Settings tab, select the preferred state as Beta if it hasn’t been selected (shown below). Once this is done, click Save settings. Finally, go to the Extensions tab and paste the access key that you saved earlier into the section called “Install New Extension” (highlighted below). Afterwards click Install. Once this is done, you’ll be successful in installing the extension. Go to System > Configuration > EASYSHIP > Easyship Settings. Click Activate Plugin then Authorize. 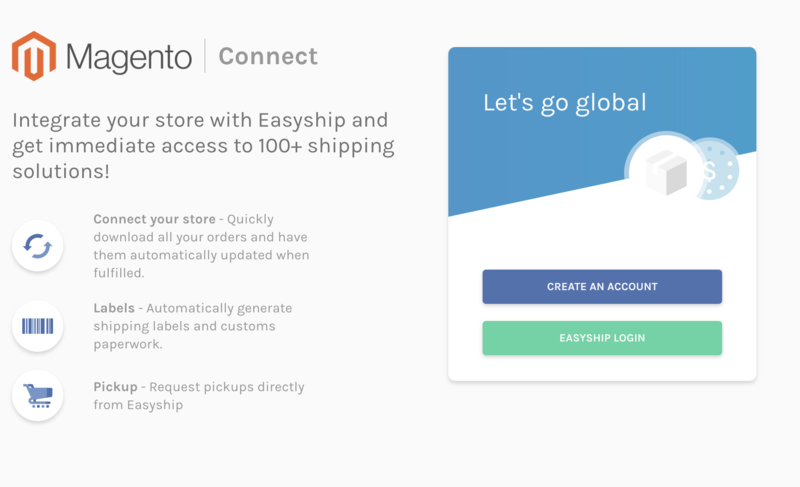 At this point, you should have an account on Easyship with your Magento store linked. Also, the Easyship rates will be present in your checkout page!